Can anyone now use the ‘MAS formula’ to retrench workers? In an article today, Human Resources Minister Richard Riot Jaem said that the 3,600 cases involving former Malaysia Airlines Systems (MAS) Berhad cannot be referred to the Industrial Court because the airline is "no longer in existence." This raises a question: did the very ministry that shoulders the rights, interests and needs of workers, declare that a company can avoid its debts and legal obligation by merely changing ownership? We cannot deny that MAS was taken over by Khazanah as losses were mounting. But did Parliament legitimise the unfair dismissal through the Malaysian Airline System Berhad (Administration) Act 2015? So, are we now to burn the books on the code of conduct for industrial harmony when retrenching staff, as it seems to no longer be relevant to addressing industrial woes in Malaysia? The 40-year-old code specifies the various steps when retrenching staff, that causes the least disruption and inconvenience to both workers and employers – the operative word being disruption and inconvenience. So if you thought that the duty of the government as a stakeholder in public interest as well as social and industrial justice is to ensure that the workers’ welfare is given top priority, as it is in most civilised countries, should this norm now be re-examined? So what really happened to the MAS cases that were supposed to be referred to the Industrial Court? This rubbed salt in the wounds of grieving former employees, who were not offered valid reasons for why the ministry would not be referring the cases to the Industrial Court. So what about justice to former MAS workers seeking remedy through the legal process? And what is the message to other companies here in Malaysia by the ministry’s inaction? Questions will now also be asked of the moratorium barring legal action against the airlines, which was only lifted on May 24. Was it put in place to allow MAB to replace MAS as the national carrier, which then allowed employees’ rights to be ignored? 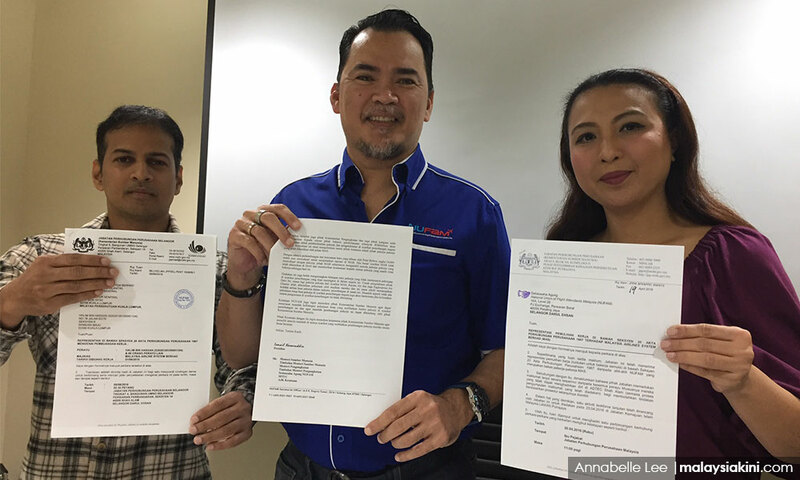 As a former victim of a drawn-out constructive dismissal myself, the pain, shame, hurt and damage to the family, I cannot but shudder with fear wondering what comes next for Malaysian employees.